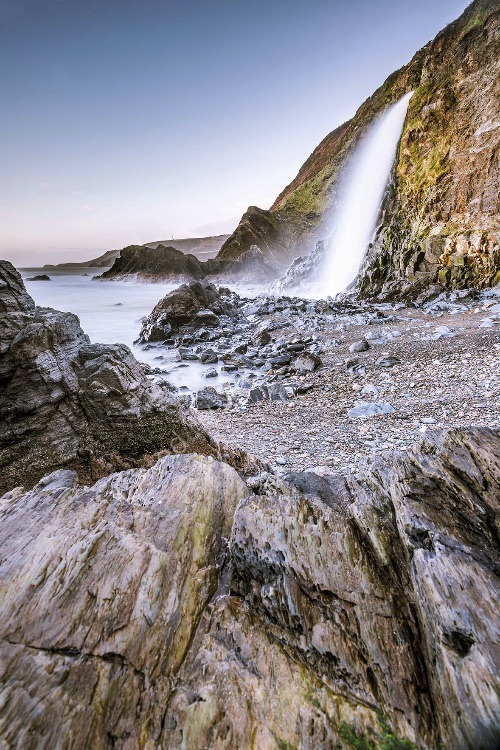 On Tresaith beach is a waterfall that flows directly from the river Saith, straight off the cliff and in to the sea. This image was made after prolonged heavy rain, and the waterfall was in full flow. The rocks that I had to clamber over, loaded down with kit, to get this image were unbelievably slippery. It might be a while before I take my life in to my hands again, for a revisit!